Your home is your castle, and your castle is your 5 Star Hostel. Welcome to Gili Mansion, the brand new 5 Star Hostel in Gili Trawangan. Gili Mansion is themed on the basis of a mansion on a tropical Island. 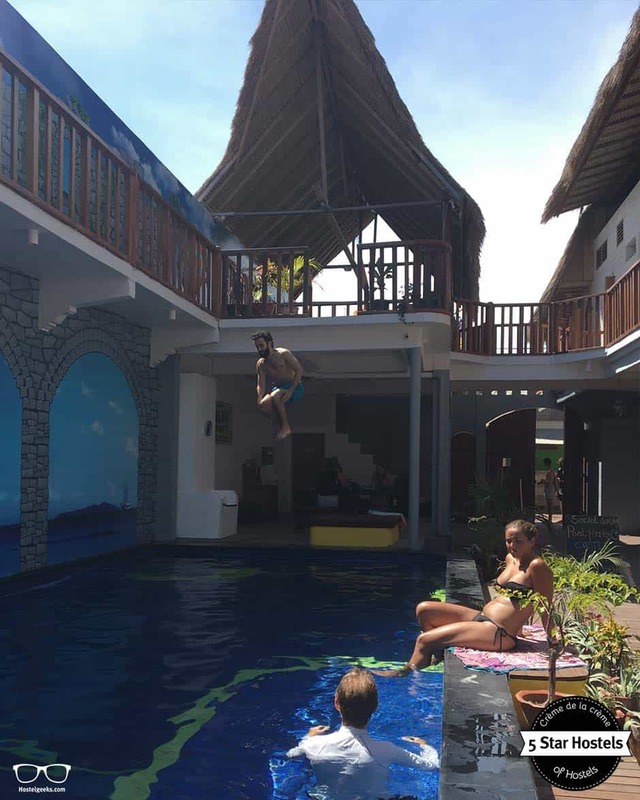 Jump with us into the new pool, join us on the bar and explore with us the new concept of hosteling. How to book Gili Mansion? Congrats, you just found the coolest hostel in Gili Trawangan, Indonesia. Now, what about your booking? Check out the official website of Gili Mansion. Why? There you can get the lowest prices! Gili Mansion is located on Gili Trawangan, the biggest of the three small Gili Islands, Lombok. It is just a short boat ride away from famous and busy Bali. 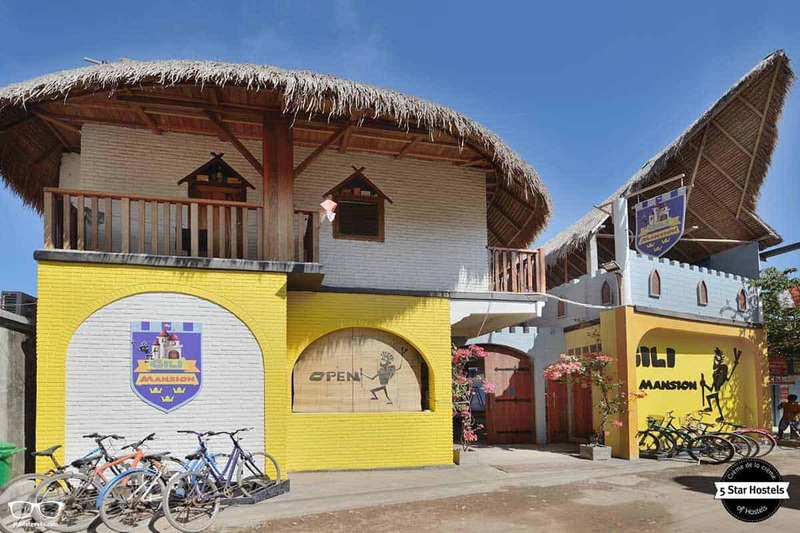 Gili Mansion Hostel is in a prime location, right at the center of everything! They are just one backstreet behind the main road. 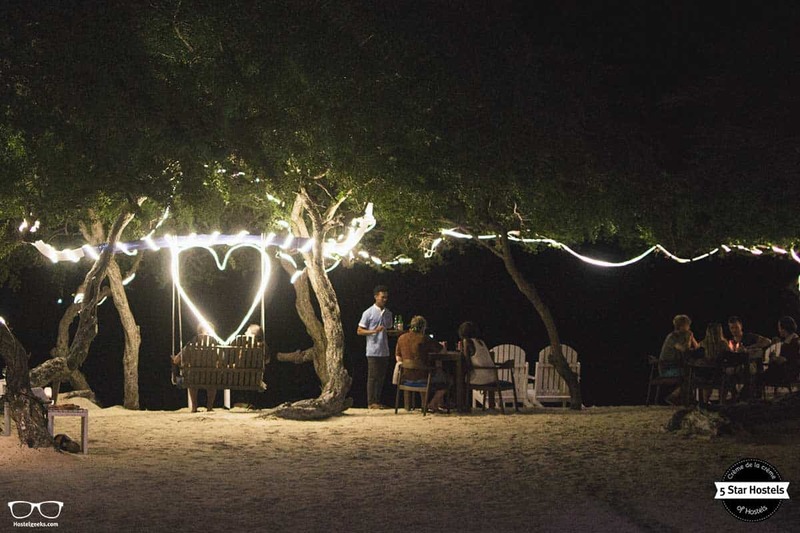 Close enough to the best restaurants and bars, but far enough away from the hustle and bustle of Gili Trawangan. It is less than a 2 minute walk to the crystal clear water and white sand beaches. On the island and the other Gili Islands, you can see a variety of fishes and turtles! If you are lucky, you can see baby turtles hatching. The diving spots on the island are amazing. The hostel is connected to the diving school Gili Divers. This is where we at Hostelgeeks went the first time ever diving! 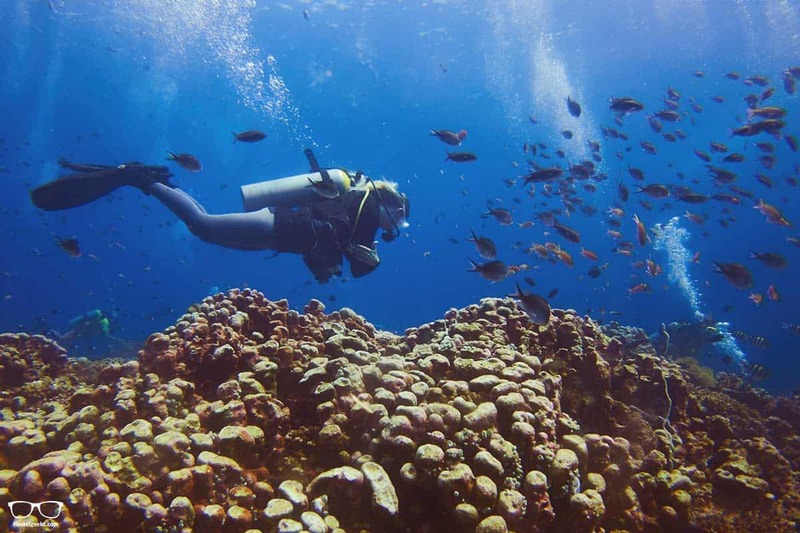 By staying at Gili Mansion or Gili Castle, you receive a discount on your diving experience. The benefit of having a sister hostel is that once the bar at Gili Mansion closed, the team takes everyone to Gili Castle to continue the party there. Read about Gili Castle here. Every night, there is a different bar hosting the party, which keeps every night interesting for the guests! 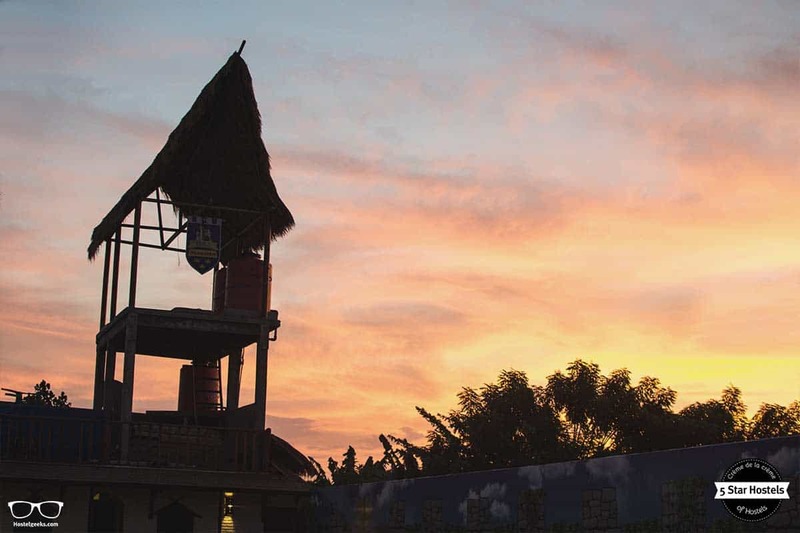 The famous sunset swings are a great attraction in Gili T. Check the sunset hour, go there a bit earlier and enjoy the colors changing game. Psst... a lot of people don’t know is that you can hike up the hill on Gili Trawangan and see the other Gili Islands. We are Hostelgeeks, the #1 brand for premium hostels in the world, the 5 Star Hostels. For each destinations we pick the #1 hostel, and share it with you in detail. 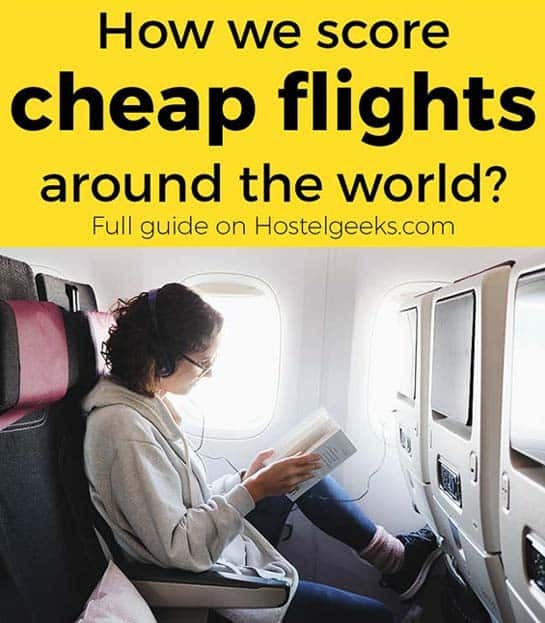 This makes Hostelgeeks your shortcut to the best hostels in the world. 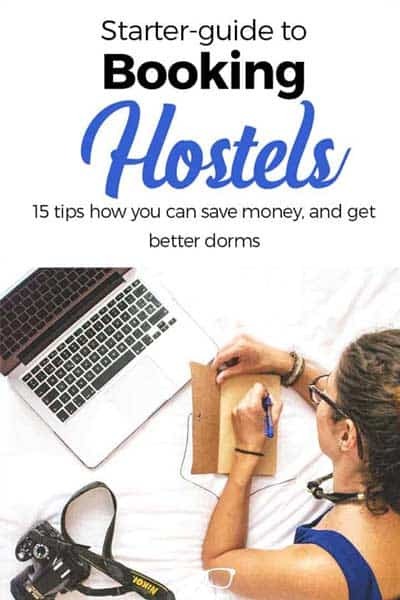 From now on, you can skip any research on stylish hostels, you’ve just come to the right place. 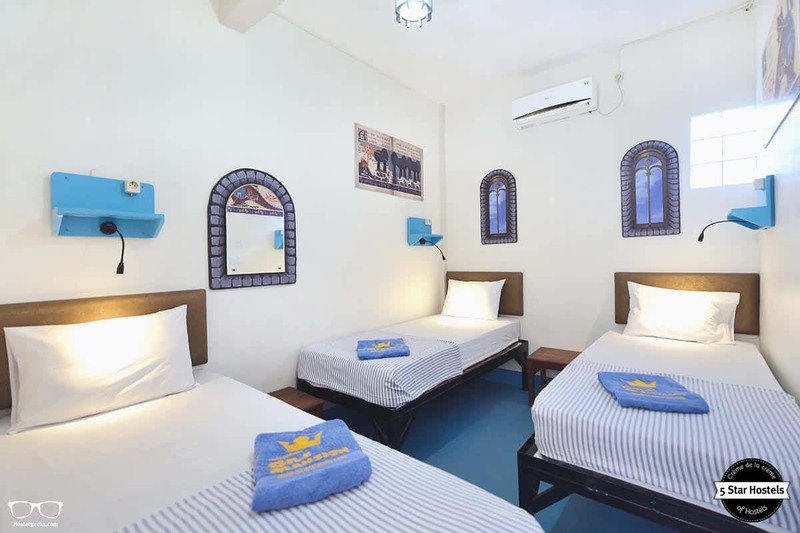 You can find all the best hostels in South East Asia here. The great team behind Gili Castle, the first 5 Star Hostel in Gili Trawangan, invited us for the opening of Gili Mansion. Since we cannot resist to be part of an opening of such a hostel, we jumped into the boat and headed over from Bali to so-called Gili T.
Since the opening, we have been back several times. It is always fun, cosy and a full hostel experience. We share with you all details. From a pool to relax and jump in, to bike rentals, fun events and yet, a tranquil sleep at night to recharge the batteries. So, ready for the jump? 1. Eco measures to reduce footprint on Gili T.
Living on a small island, it is hard to control and maintain rubbish. The waster issue is a big problem in Gili T. New concepts were required to get control over the expanding problem. 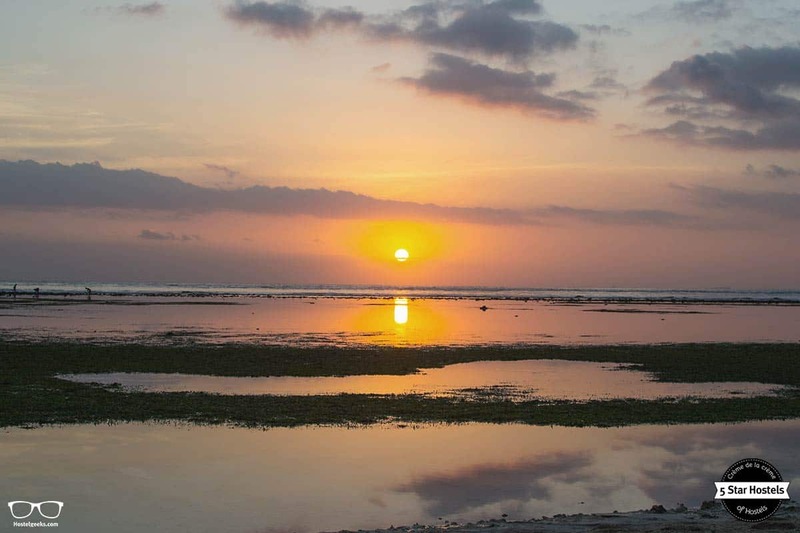 ‘Gili Eco Trust’ is the association on the island to tackle this issue. Gili Mansion teamed up with Gili Eco Trust. They try to separate as much as they can with recyclable products. The team sends Gili Eco Trust the empty bottles. Eco Trust upcycles these bottles and turns them into glass lamp shades or bricks. 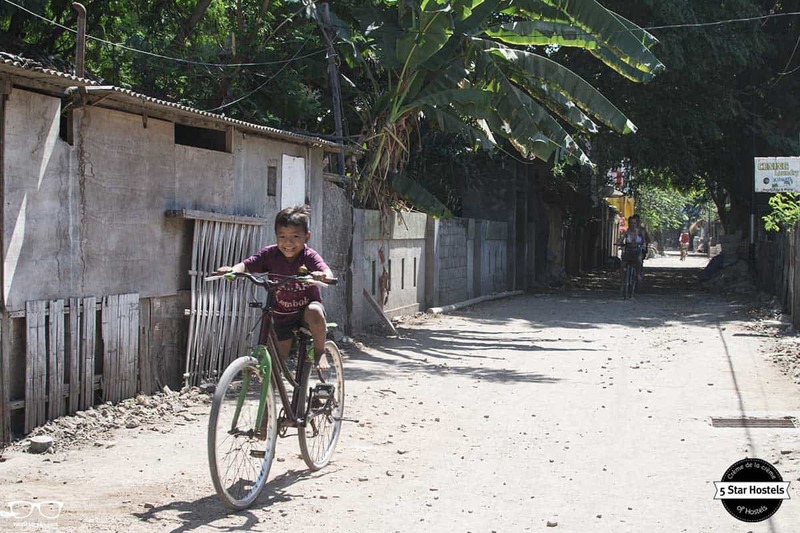 Furthermore, Gili Mansion is one of the hosts for ‘Debris Free Fridays’ – where they gather volunteers in cleaning out the roads and beaches from rubbish. During our visit, we also participated and helped cleaning up the beautiful beaches around the island. The hostel provides a water-refill station, both in our fresh water taps and water gallons. This way guest can reduce their use of plastic bottles. The recent upgrade to Eco-friendly lifestyle has been changing the supplier for certain products. Instead of single plastic wrapped tissues and small containers, they go without any wrapping paper and bigger containers. The staff separate the correct products to be recycled. 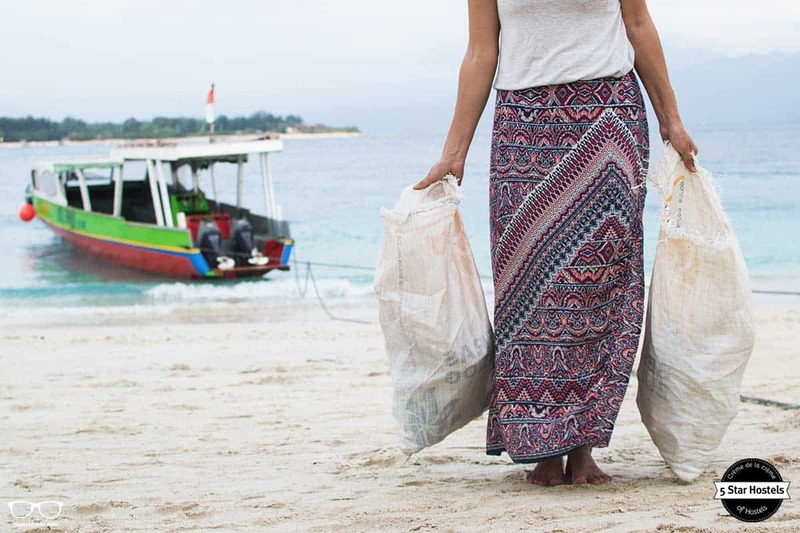 You can get a refund when recycling your plastic and glass bottles in Gili. Last but not least, when guests leave unwanted clothing or products, they donate these items to ‘Pituq Cafe’ who donates them to a charity in Gili Islands. FYI Pituq Cafe is an outstanding café with creamy coffee and super yummy food. It’s just around the corner, ask the staff how to get there. 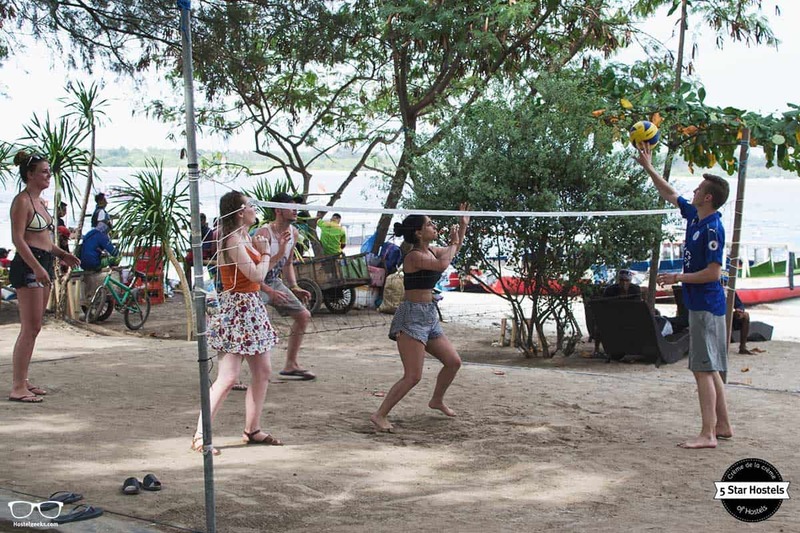 Also next to Gili Mansion you have the beach, with many activities as paragliding. Ever tried paragliding over turquoise waters? Let us talk about the interior design and theme. The hostel’s theme is a mansion on a tropical Island. 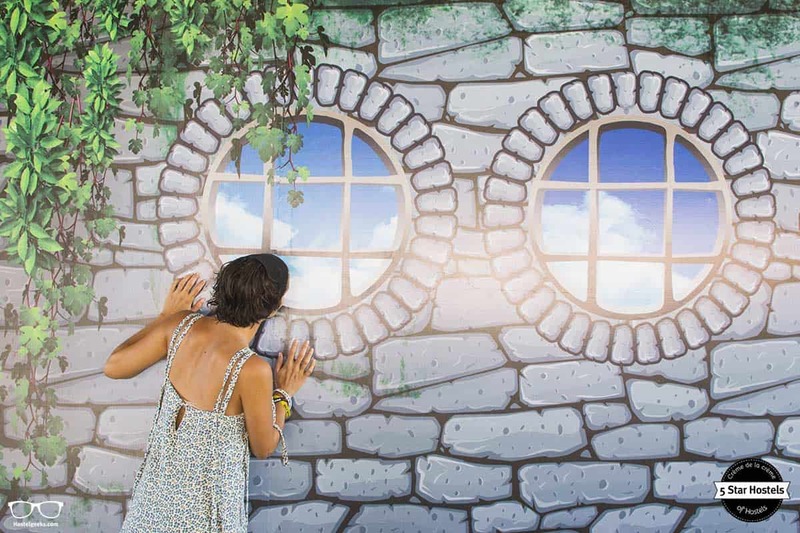 It comes with white painted bricks, medieval lights and a watch tower with a 360 degree view of the island. One would enter the ultimate hangout space to bring all backpackers together through a huge wooden gate. With the pool in the middle, sun beds, bean bags and tables surrounding it, it is easy to connect and get to know everyone. 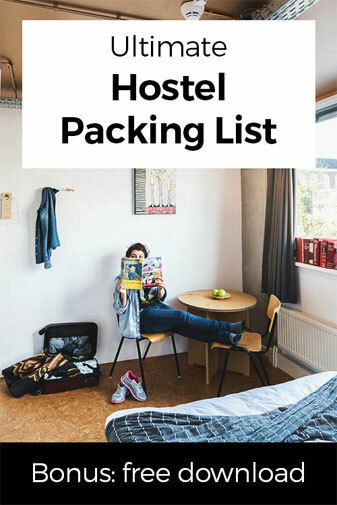 This is a great hostel for solo-female travelers. 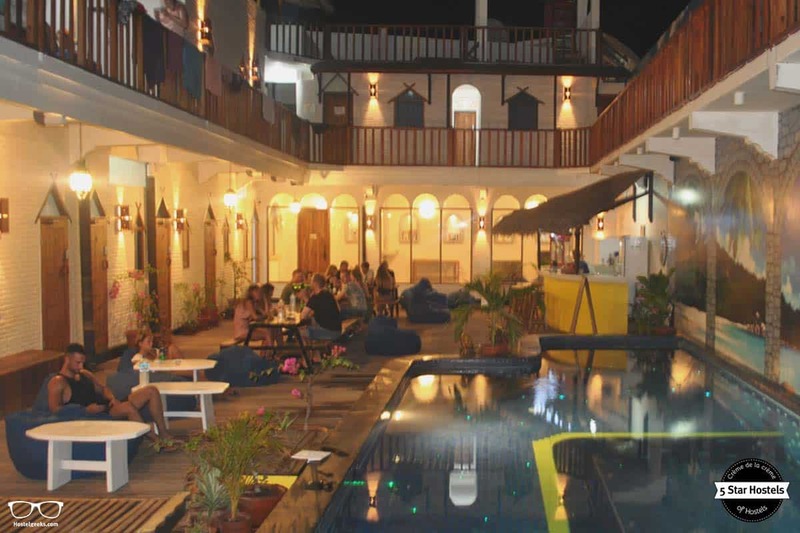 Find all the best hostels for solo-female travelers here. Don’t forget the tropical plants to add the final touch. And one more thing, detail is key to the mansion! From hinges on the door (a door that creaks as you open it) to a life like image of a beach with palm trees by the pool. 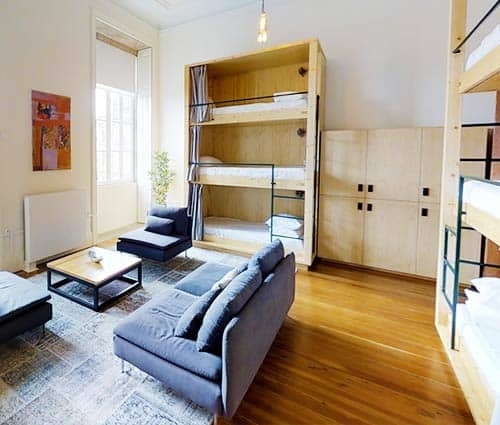 They carefully picked out furniture to suite the ambience of the hostel – e.g. 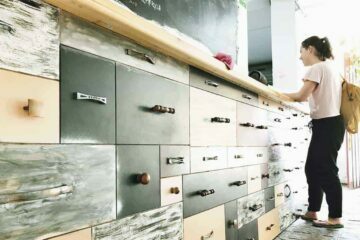 wooden steal furniture. Okay okay…it’s as simple as that: it is really, really cool! Just have a look at all these photos. 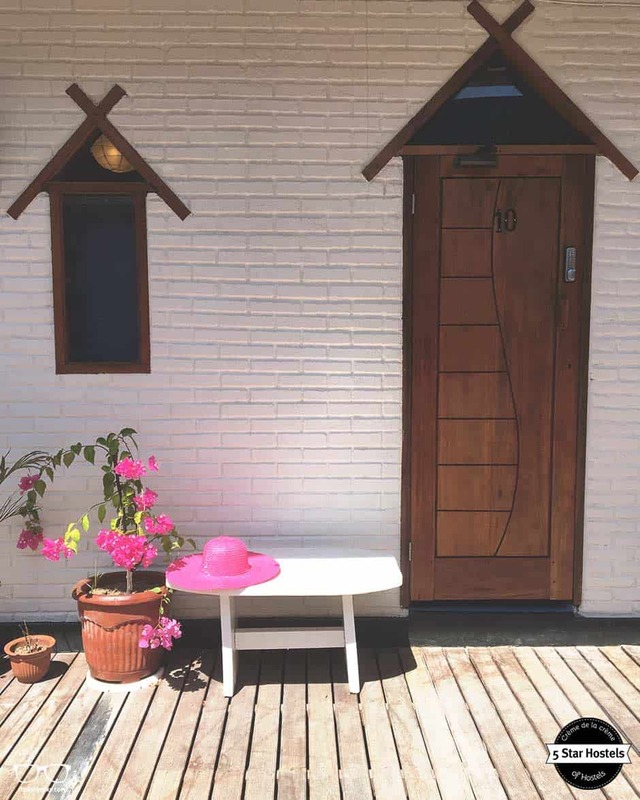 It’s one of the coolest design hostels we know! Being a “Mansion” on a tropical Island is pretty unique already…we mean, it’s Gili T, the water here is just mind-blowing. We recommend waking up early, around 7am-8am to watch the island waking up. You can join as well a sunrise Yoga, next to the hostel at the beach. 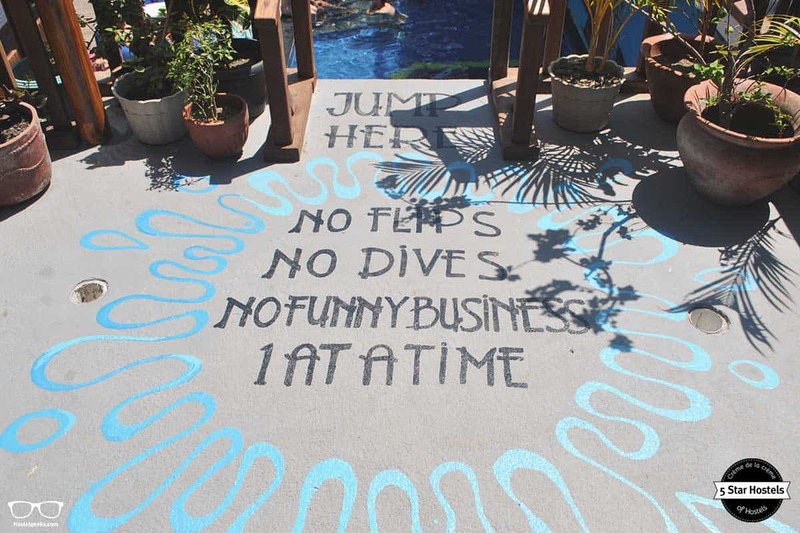 Anyway, besides the theme, the hostel has a jumping platform into the big pool. You remember the jumping platform in Gili Castle? It’s an upgrade! Their beautiful fiberglass optic lights at the bottom of the pool, lights up the Mansion at night. It looks like a universe under water. The bar right behind the pool has a wheel of fortune. So if you are lucky you can either get a free shot or discounted drinks! The watchtower, you will see it from the entrance, has a 360 degree view of the island and below it has a lounge terrace full of sun bed to relax and catch some sun! And then there is still the restaurant. It is fully air-conditioned with large screen satellite TV, great food and outdoor seating area for those who don’t want to sit inside. The restaurant is filled with books you can swap with. Booking exchange is a big thing for hostels. 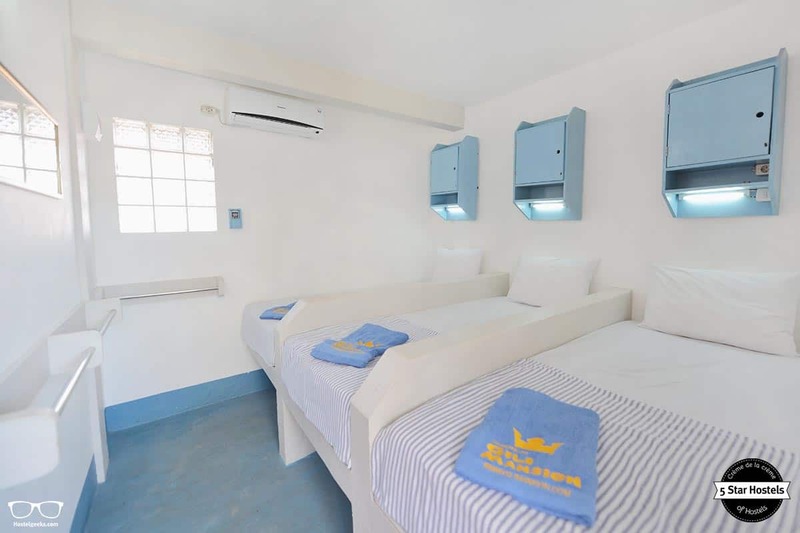 You can choose from regular dorms to female-only dorms as well as twin rooms and double rooms. You can find more details on the room types on the top. 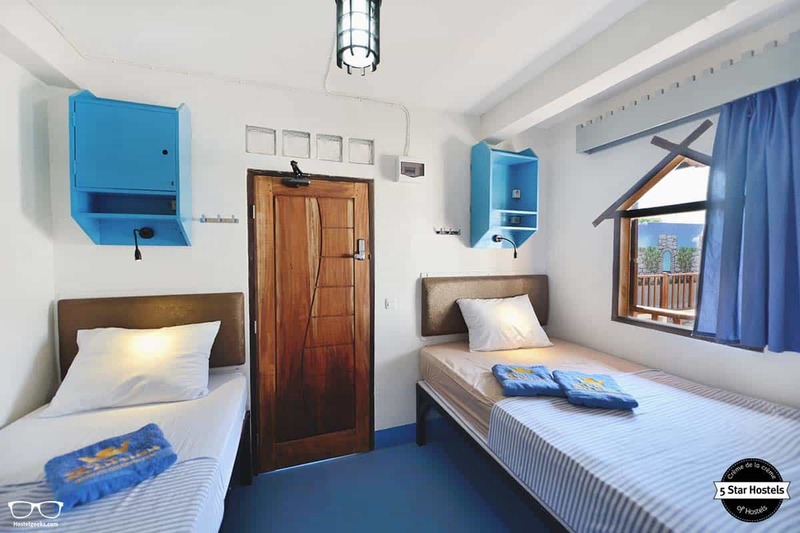 Read: understanding different hostel room types. 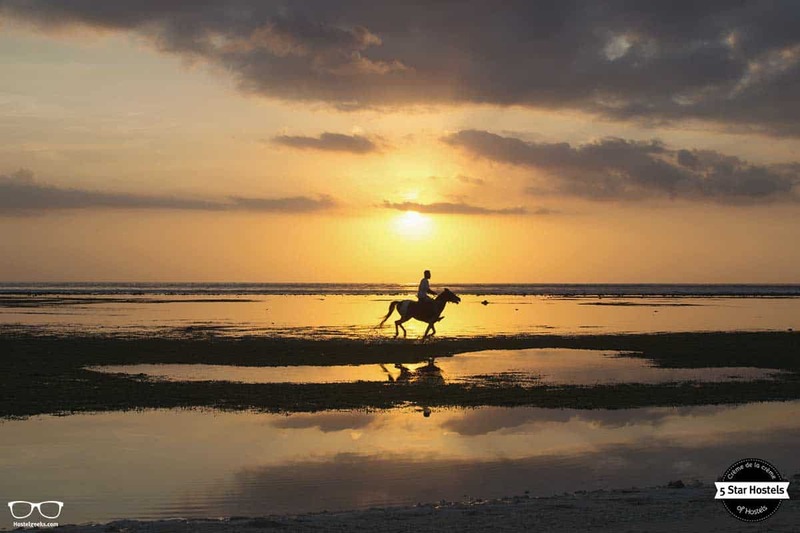 Gili Trawangan is a party island, it is known for this. 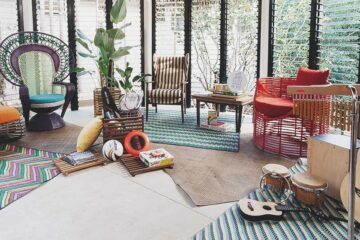 So, what’s the vibes like at Gili Mansion? 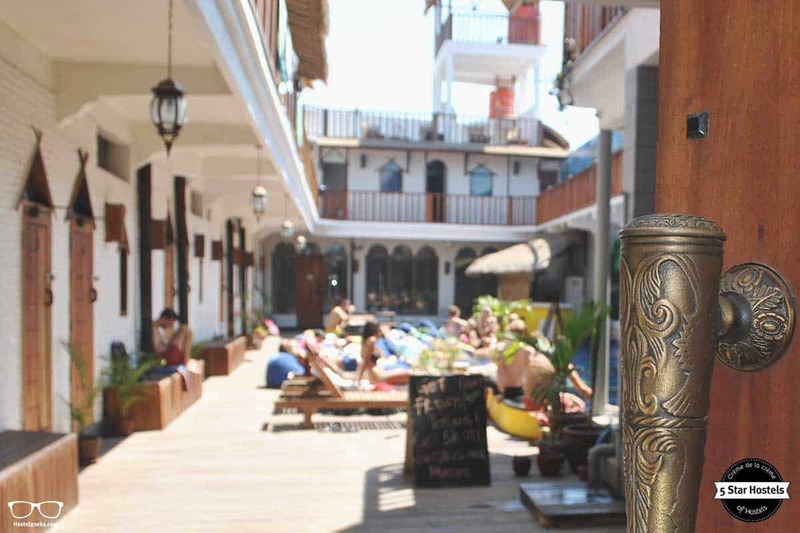 Gili Mansion Hostel is a place to hang out and chill out. It is designed to bring all backpackers together. The Sun beds, beanbags and benches invite you to lounge around the pool and catch some tan. The surround sound system traps the music inside, giving it a great atmosphere. Although, every day is a different day, the music reflects on the mood of the hostel. From mellow beats, to sing songs! Your trip is how you make it, so the accommodation encourages everyone to come out of their rooms and spend time using our facilities. Upstairs they have lounge areas outside the rooms, for everyone to hangout and meet. Many people hang out here as well when we visited. The team plans sunset bike rides, pool parties, boat trips etc. Since Gili Castle is the sister hostel, they get both hostels together to party at Gili Castle. Pre-drinks can be enjoyed at Gili Mansion, but the party is moved over to Gili Castle. Gili Castle is just not even a 2-min walk away. Therefore, in a nutshell, it’s a perfect place for female solo-travelers, tranquil hostel-mates and everyone looking for a stylish hostel. The party people should opt-in for Gili Castle directly. 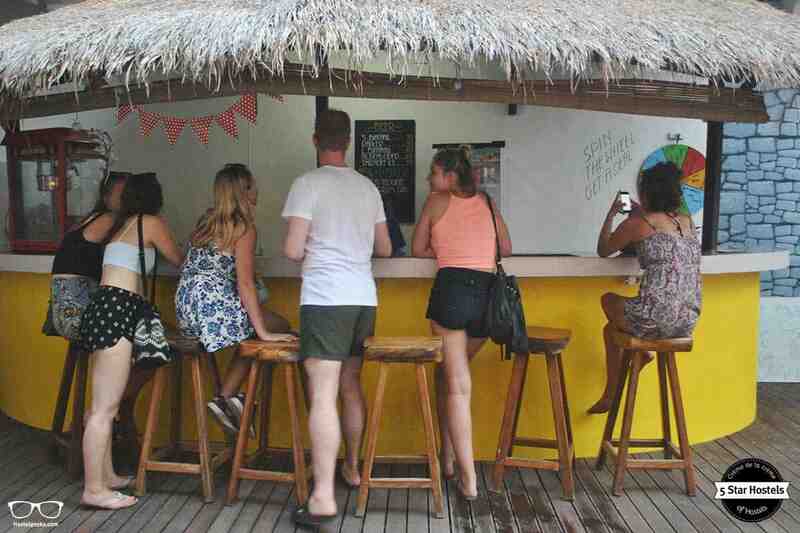 However, you can hang out in both hostels and party in Gili Castle Hostel – wherever you’re staying. What’s about the staff, you may wonder. The staff is from all over, Lombok (Gili Islands belong to Lombok, the island next to Bali) and the managers are from all over Europe. Most of the staff commute back and forth to the island, but a few have accommodation with the hostel. The staff always greeted us with a smile. The reception team has all the knowledge of the island, which will help with any inquires you may have. The bar team is keen on making guests tasty drinks and always up for a laugh. The restaurant will cook you up a treat! Overall, the guys and girls at Gili Mansion and Castle will make you feel like you’re part of the family. Have a look on their instagram. Here they introduce you to the team members. 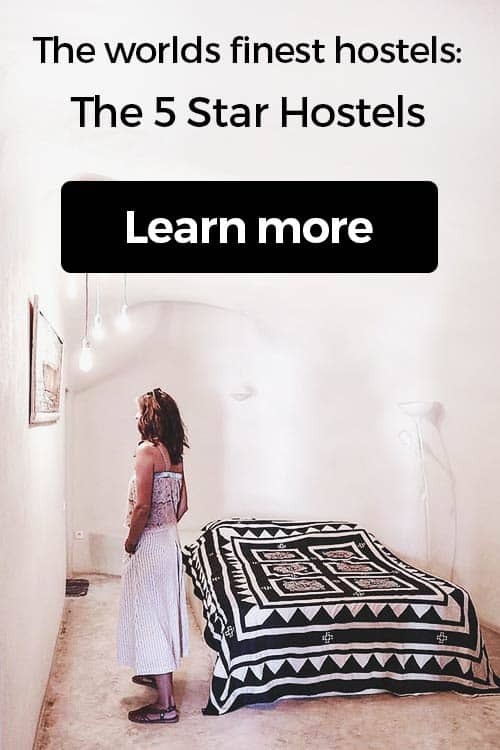 Talking about Instagram, follow Hostelgeeks Instagram and discover all the 5 Star Hostels around the world. Fancy a promo code for Gili Mansion? Who doesn't?! Now, there is no easy way to say this: Currently we do not have a valid discount for Gili Mansion. 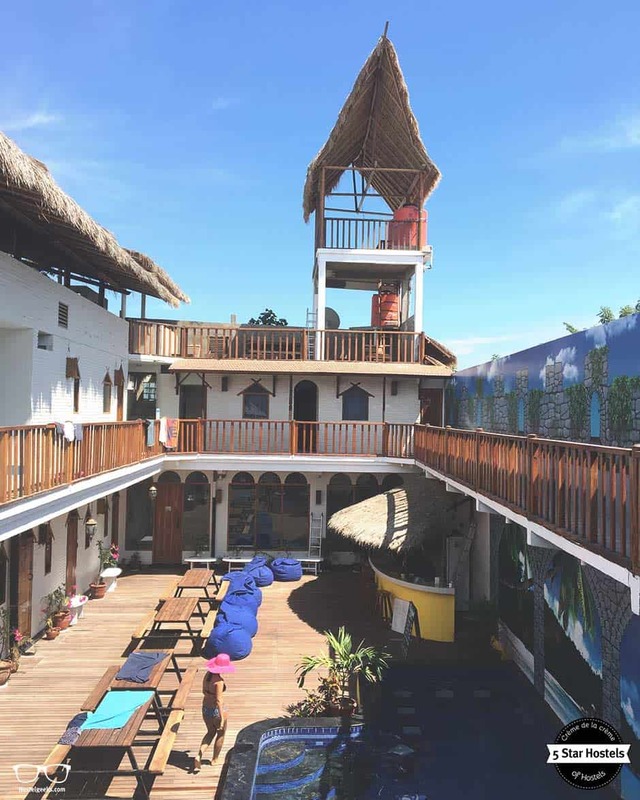 We are working on getting more promotional codes for Gili Mansion in Gili Trawangan, Indonesia and all the other top hostels we reviewed for you. Check out the official website of Gili Mansion. 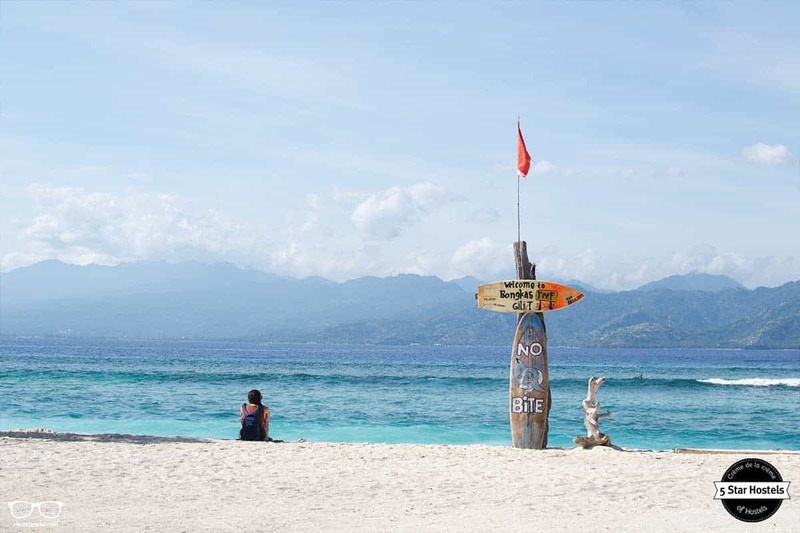 Update April, 2019: How to find flight deals to Gili Trawangan, Indonesia? Still looking for cheap flights to Gili Trawangan, Indonesia? We LOVE Kiwi.com. You can search here with a so-called "radius search". It is incredible easy to find sweet flight deals to Gili Trawangan, Indonesia and area.